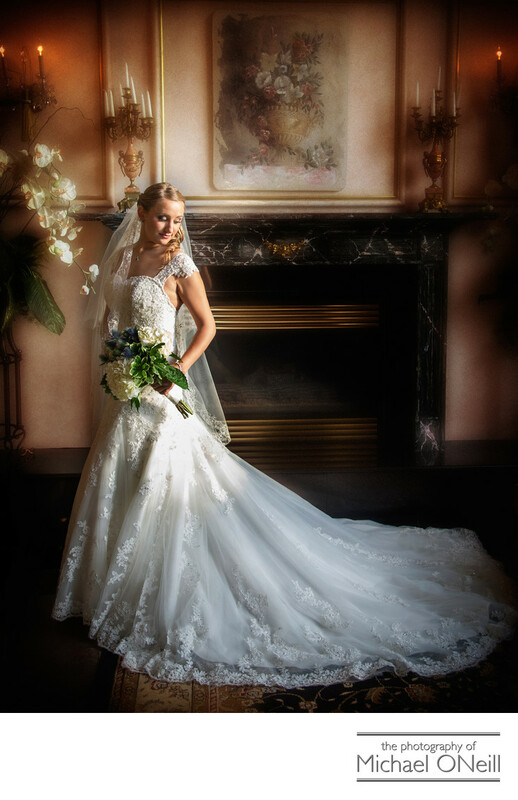 This beautiful full length portrait of the bride was taken in the lobby of Villa Lombardi’s in Holbrook, NY. I have been affiliated with the Lombardi family for more than two decades and have much experience taking wedding pictures at Villa Lombardi’s as well as at their other two catering venues: Lombardi’s on the Sound in Port Jefferson, NY and Lombardi’s on the Bay in Patchogue, New York. The fireplace in this picture was an elegant backdrop for this wedding photo that highlights the bride’s beautiful wedding gown. The lighting for this image was 100 percent natural available light streaming through the two story tall windows in the center of the spectacular lobby. I love taking wedding pictures at Villa Lombardi’s...here in the elegant lobby or outdoors in their manicured gardens. If you are planning a Lombardi’s wedding be sure to give me a call. I would love to be a part of your special day.